The PaintMiser’s humble beginnings were that of cardboard paddles cut out by David Graff to help save on expensive faux finishing materials being used by his award winning design company. Geoff Gibbons joined Dave’s company after a stint working in paint management on set in the film industry where paints and containers moved around at a break-neck pace. After working with Dave, Geoff was convinced there were possibilities for the cardboard paddle. Taking the basic idea, Geoff added a number of extra functions for more complete container cleaning, fashioned a prototype, and took up the challenge of how to get it to market. 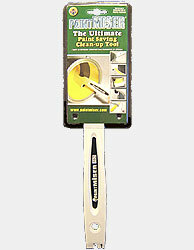 The PaintMiser - “The Ultimate Paint-Saving Clean-Up Tool”. Rollover to view enlarged image. The PaintMiser is a multi-function tool meticulously engineered to clean and claim all aspects of residual paint from gallon and quart containers. PaintMiser’s functions and attributes include: engineered micro-wipers for a complete clean inside and outside can, a handy durable lid opener, rim cleaning contours, hang hole for storage, arc contour for drips and roller clean-up, a tough steel core to handle a host of material weights and viscosities. The Industrial Pro is designed to withstand the rigors of Industrial use, and has all the functions of the PaintMiser Pro. This PaintMiser, however, has a hardened stainless steel core with an extra durable mould that can tolerate all kinds of solvents and chemicals. The Wood PaintMiser has a wood core laminated with paper, and features all the functions of the Pro, without the opener and micro-wipers. 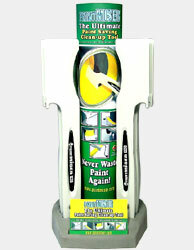 This Original PaintMiser works optimally for up to 12 uses, and is great for the small job. The RimMiser is a handy paint job companion for any painter. 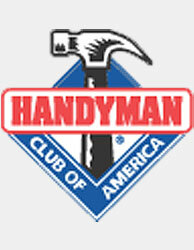 It is manufactured with a durable steel core with PVC over molding. 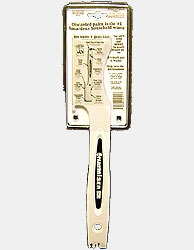 The RimMiser has three main functions: A handy steel lid opener, can rim cleaning contours, a crud scraper for caked on paint collected in lid rim. PaintMiser® - All Patents and Trademarks Property of Paint Miser Products Inc.